COLUMBUS, OH - HB 203 sponsored by Representative Terry Johnson (R-McDermott), a bill that seeks to update Ohio's concealed carry program, has passed the Ohio House with a 63 - 27 vote, and will now be forwarded to the Ohio Senate for consideration. HB 203 has significant support as shown by the overwhelming House vote. Buckeye Firearms Association and the NRA have both endorsed the legislation, which seeks to make many improvements to Ohio's concealed carry laws. The bill would strengthen the background checks required to obtain an Ohio Concealed Handgun License (CHL). Under the bill, Ohio CHL applicants would need to pass a NICS-compliant background check (National Instant Check System), making it compatible with more states. This improvement will also help prevent people with mental health disqualifiers who have been entered into the federal database from obtaining a CHL. The bill would also move Ohio to an automatic reciprocity system, relieving the Attorney General from the requirement to sign agreements with every state for reciprocity. The Attorney General would still be permitted to sign agreements if needed, but the bill seeks to streamline the process and open up agreements with states such as Indiana, Pennsylvania, and Georgia with which Ohio does not currently have agreements. "Reciprocity remains a critical issue for people with a CHL," said Jim Irvine, President of Buckeye Firearms Association. "Background checks have been a hot topic since the Newtown killings, and ours has some issues that should be addressed. This bill makes sure people with disqualifying offenses are not issued CHL's. This is something everyone should be happy about." Under the bill, required topics for Ohio CHL training would remain the same, but the arbitrary mandate that requires instructors to spend 12 hours covering those topics would be reduced to four hours. Most experienced instructors agree that the same training can be covered in less time. 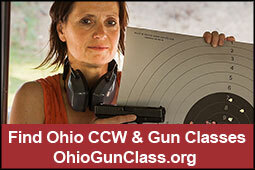 "Ohio has one of the nation's most egregious CHL training requirements," said Irvine. "Other states have seen that more people get training when the time requirement is reduced. We are strong advocates of training and want to see more people become trained in the safe use of firearms. But padding the classes to fill 12 hours when the same information can be effectively covered in less time makes no sense. "People are exhausted at the end of a long 12-hour day or at the end of two 6-hour days. They lose their concentration and stop learning at some point. By covering the same material in less time, we think applicants will learn and retain more information." Finally, HB 203 seeks to modify the state's self-defense law. Current law specifically states that a person has no duty to retreat before using deadly force if that person is in his or her own home or automobile. HB 203 would expand that to anyplace that a person lawfully has the right to be. "The law should not impose specific 'duties' on people whose lives are in jeopardy," observed Sean Maloney, a Cincinnati-area attorney specializing in self defense and firearm law. "It should protect the innocent and their right to defend their own life from criminal attack. The bill would not otherwise change the threshold to legally use lethal force in defending one's life." Those who think "all politicians are the same" or "hate all politicians" are encouraged to spend a couple hours watching the discussion and debate that took place on the House floor prior to the vote. Click on the picture of the Statehouse above which links to the archived video. You will be frustrated and possibly angered by the comments of some legislators, but you will be thankful that there are others who stand up to defend freedom and common sense. If you do nothing else, listen to Dr. Johnson's comments. They will restore your faith that there are great people willing to stand up and defend our country, Constitution and way of life. Remember as you watch the comments of your legislators, that elections really do matter. Buckeye Firearms Association is dedicated to defending and advancing the right of Ohio citizens to own and use firearms for all legal activities, including self-defense, hunting, competition, and recreation. Four hostile amendments were offered by Democrats before the final vote was taken. All were defeated. Rep. Alicia Reece (D-Cincinnati), president of the Ohio Legislative Black Caucus, introduced an amendment that would have stripped the self-defense modifications from the bill. The amendment was defeated 56-34. Rep. Ronald Gerberry (D-Austintown) unsuccessfully proposed removing the provision which reforms Ohio's concealed carry reciprocity. The amendment was defeated 58-33. Rep. Mike Ashford (D-Toledo) proposed eliminating the training requirement rollback. The amendment was defeated 54-37. Rep. Fedor (D-Toledo) offered an amendment proposing the building of a fingerprint database of gun owners with a CHL. The amendment was defeated 56-35. In the end, six Democrats joined 57 Republicans in voting for the bill. 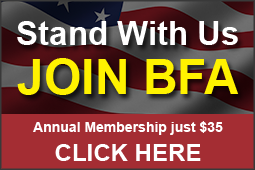 "'Stand Your Ground' is a marketing label, it's a media label, it has no independent meaning," Ken Hanson, legislative chairman for the Buckeye Firearms Association, told reporters the day before the House vote on the bill. 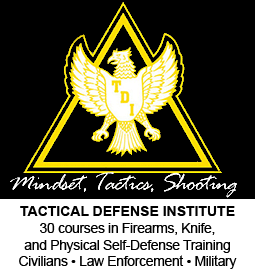 "Ohio is the only state a person acting in self defense has to prove they were acting in self defense. Every other state, it's up to the prosecution to prove they weren't acting in self defense. So trying to compare what Ohio is proposing to do to what other states have done, it's not a valid comparison." VIDEO: Ken Hanson from the Buckeye Firearms Association answers reporters' questions about House Bill 203, which includes a number of provisions related to concealed carry handgun laws in Ohio. Includes discussion of what some are calling "Stand Your Ground" provisions that would provide legal protections to citizens who use firearms to defend themselves in certain situations, rather than retreating. Hanson said the bill should not be referred to as "Stand Your Ground" and explains why. The Buckeye Firearms Association released a statement after the House vote applauding the bill's passage. The bill "has significant support as shown by the overwhelming House vote. Buckeye Firearms Association and the NRA have both endorsed the legislation, which seeks to make many improvements to Ohio's concealed carry laws," the group said. Regarding the new training guidelines in the bill, he added, "Ohio has one of the nation's most egregious CHL training requirement." "Other states have seen that more people get training when the time requirement is reduced. 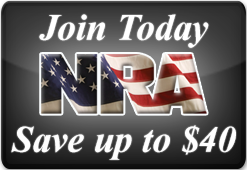 We are strong advocates of training and want to see more people become trained in the safe use of firearms. But padding the classes to fill 12 hours when the same information can be effectively covered in less time makes no sense." Please call your Representative and thank them for their vote in support of H.B. 203 this week. The question being, "Shall the bill pass?"